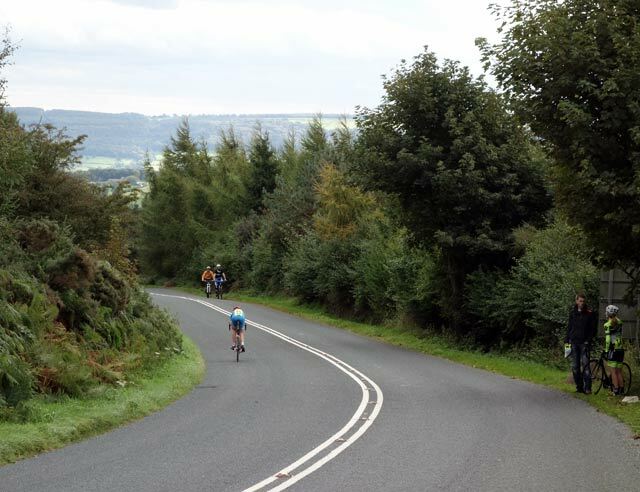 Otley CC was my first hill climb back in the early 1990s. I was an under 16 then, I can’t remember how I did, but it might have been second to last or somewhere like that. 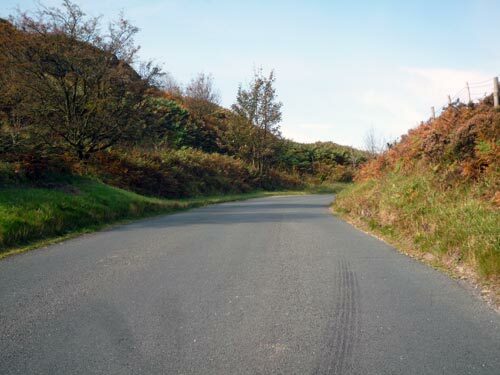 In those days we raced up Norwood edge in the morning and East Chevin in the afternoon. But, increased road traffic has meant East Chevin has been swapped for Guise Edge. This year, 2013, there was a good entry, with a really big turn out from the under 16s. 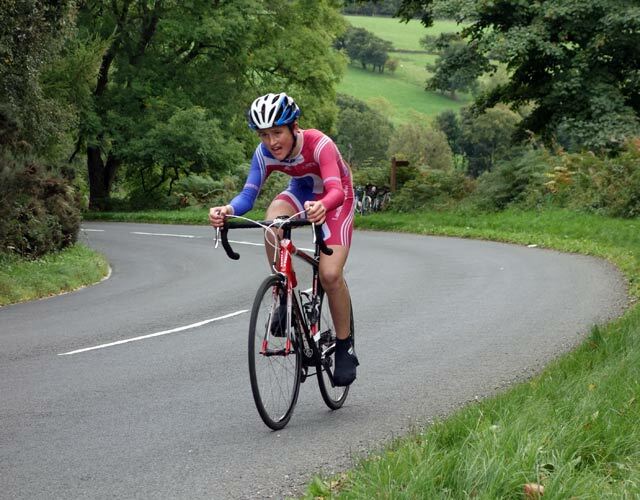 It’s good to see a lot of young riders having a go at hill climbs. It’s seems the club scene is thriving in Yorkshire. There was also a good pocket of spectators at various points on the climb. I also saw two former Otley CC hill climb organisers turning up to support the event. First up is Guise Edge. A steep climb out of Pateley Bridge. It runs kind of parallel to Greenhow hill. 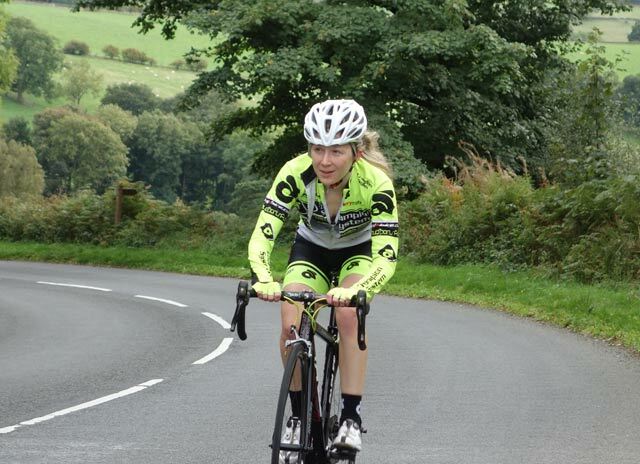 Greenhow hill is a really tough climb, just a bit too busy for a race. Guise edge is quieter, though road is a bit narrower. It’s steep to start off and doesn’t relent until last few hundred yards. The weather forecast said there was a strong westerly wind, so I expected a headwind, but, it didn’t feel like that. I was surprised to go quicker than last year, shaving another 0.7 seconds off the course record. Started off in the 39*19 sprocket and kept in there for the hard steep section. Then there is a fast flat bit section as you come to a sharp left hand turn and a short blast to the finish on the moor. Generally, I’m not so keen on the shorter climbs, but I seem to be going well on the short climbs this year. Perhaps a result of doing many 1 minute intervals – something I’ve never done before. Second was Lee Baldwin of Buxton CC, followed by Matthew Pilkington (Cleveleys RC). Usually, there is a 2 hour gap between the hill climbs, so I rushed off to Norwood edge to begin my warm up. But, once on the rollers, I thought it strange no one else was around. Cycling back over to HQ, I found this year we had a luxurious 3 hour gap in between hill climbs – so plenty of time to have a few homemade flap jacks. Funnily enough a few years ago (2009), I turned up to Otley CC hill climb expecting their to be a 3 hour time gap, like when I first did it in 1994. I had quite a few cakes in the HQ and wondered why no-one else was eating some lunch. But, I then found out that the gap had been cut to 2 hours from the 1990s. I went up East Chevin with far more cakes in my stomach than I would have liked – not a nice experience…. So much better to get it the wrong way around this time. I don’t know why but for races which you’ve done many times and / or are local, I don’t always properly read the start sheet. I’d even written down my start times, but my mind was stuck on the idea of a 2 hour gap. On Norwood Edge, I typically do better, preferring the longer climb. Though this year my time was 4.56, a bit slower than the past two years. Perhaps it was a slower day. Unfortunately, my power meter is broken after only three weeks use so I’ve no way of knowing. James Gullen (Team Hope Factory Racing) was just 6 seconds behind. 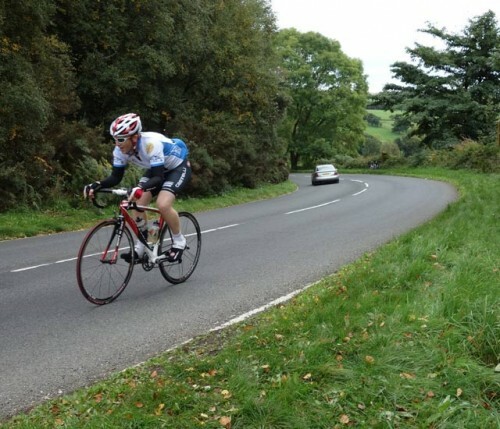 James is built for the longer climbs and is very fast. I think my time up Norwood edge when I was 15 was something like 6.50. The idea of going under 5 minutes seemed impossible in those days. Back at the HQ I had a few more flapjacks (some very tasty homemade cakes) and received my first place prize courtesy of the Otley CC and sponsors Team Chevin and MAS design. There was a good family atmosphere with quite a few under 16s getting their prizes.. I even learnt not to place a carbon fibre bike on metal railings. Once again well done Tejvan, the others must be beginning to give up hope. That is some going to ride that gearing combo up 20%. 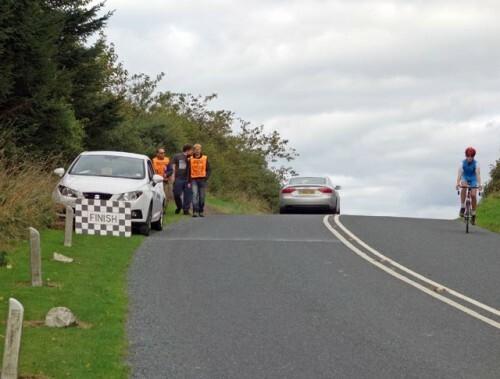 So that another three hill climbs last weekend, do you ease off for the National’s or just keep on doing as many as you can. And what happened to the carbon fibre bike, leant on metal railings. So what happened to the power meter and who’s make is it. I bought a Garmin 705 when they first came out and that gave up the ghost’s after a week, mind you so did my Trek 6.5 Madone, but that’s another story.